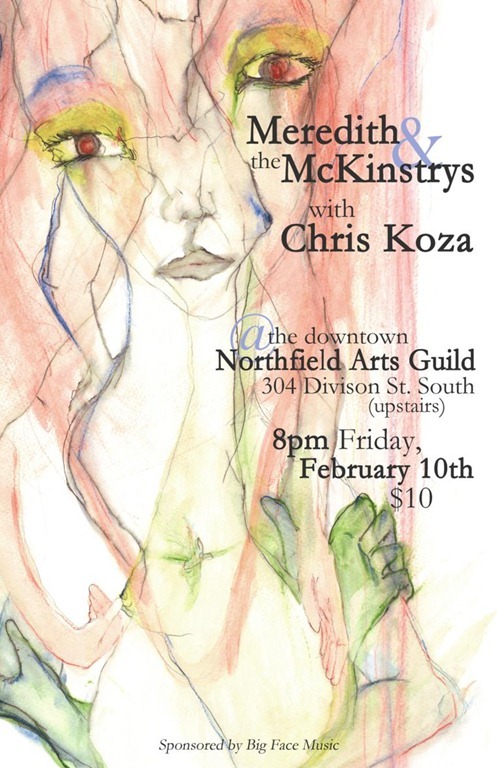 February 1, 2012 – Northfield music favorites Meredith Fierke, Steve McKinstry and Dylan McKinstry will play a concert in tandem with Twin Cities legend-in-the-making Chris Koza for a night of intimate, acoustic, atmospheric pop-folk music at the Northfield Arts Guild on Friday, February 10 at 8pm. 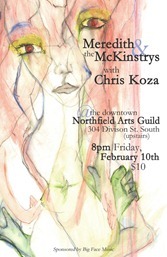 The Northfield Arts Guild is located at 304 Division Street South. Doors will open at 7:30, and the music will start at 8:00. Tickets are $10 and can be purchased in advance at www.left-handedentertainment.com or at the door the night of the show. For more information, contact the Northfield Arts Guild at (507) 645-8877 or Rich Larson at (612)756-0490. 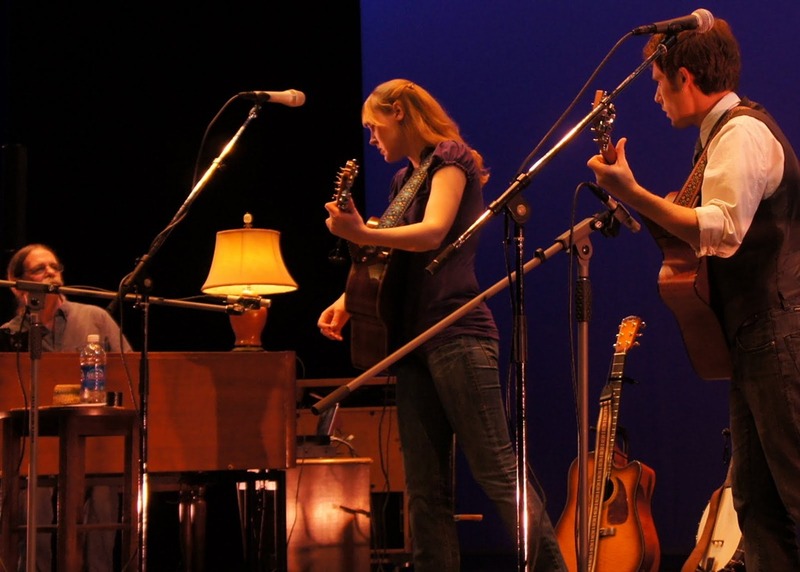 Related: see my blog post of photos of Meredith Fierke, Dylan McKinstry, and Steve McKinstry performing at the Carleton Weitz Center Theater last November.